The kidneys perform many important functions in your cat’s body. They are responsible for the filtering of blood to remove body waste products from the blood-stream and excreting them in the urine. They are also responsible for regulating blood pressure and for producing hormones that stimulate the production of red blood cells in the bone marrow. The kidneys produce urine, which travels along the ureters to the bladder and is then excreted via the urethra out of the body. Acute Renal Failure (ARF) happens quickly, over a matter of days and can happen in cats of any age. 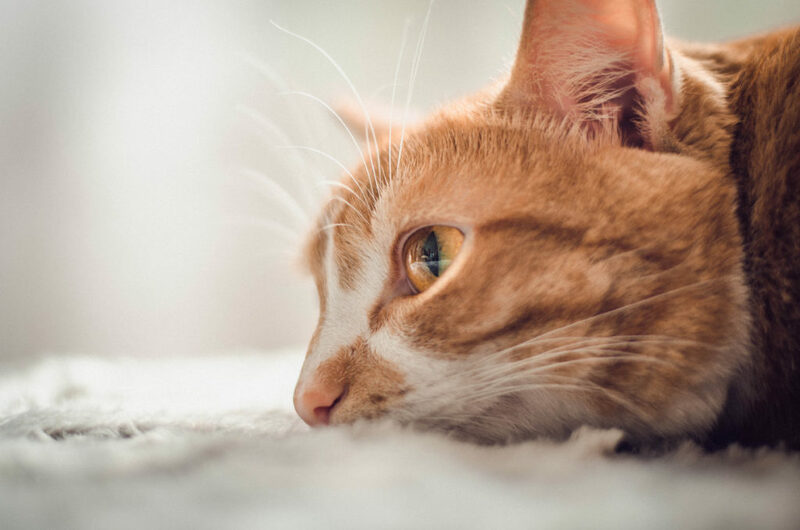 Poisons (like Lilies, human anti-inflammatories and anti-freeze), trauma, infections, blockages and heart disease are amongst the most common causes of Acute Kidney Failure in cats. If recognised early and treated aggressively, ARF can in some cases be reversed. Chronic Renal Failure (CRF) has a slow progression over months or years and is usually seen in cats older than 7 years. The exact cause of CRF is difficult to determine in each patient and may be the consequence of a historical poisoning, trauma, infection or blockage. Blood pressure irregularities caused to thyroid disease and heart failure can also contribute to CRF. CRF is more difficult to treat and is irreversible. For symptoms of CRF to start appearing, about 75% of the functioning tissue of the kidneys has already been lost. This article deals predominantly with CRF as this is seen more frequently in private practice. Your veterinarian will run a series of urine and blood tests, if a diagnosis of CRF is suspected. The urine will be assesses for colour, clarity, concentration, ph, protein, blood and glucose content. The blood tests will look at the concentrations of various waste products and electrolytes in the blood stream, as well as the red and white cell components of the blood. The results of the urine and blood tests will then be assessed together for a diagnosis of CRF to be made. Radiographs and Ultrasound of the kidneys and urinary tract can be of value, to assist in identifying the underlying cause. Ultrasound can also be used to guide the taking of samples of kidney tissue (fine needle aspirates), should these be necessary. Unfortunately there is no cure for CRF. Treatment is centred around reducing the load on the kidneys and the management of symptoms, to slow the progression of the disease and to increase life-expectancy. Many schools of thought feel that dietary management is the corner-stone of CRF treatment. Various veterinary renal support diets are available through the veterinary market. These diets are usually restricted in proteins, phosphorus and sodium and have added anti-oxidants, vitamins and fibre. Cats can be quite fussy about changing diets and a change to a renal therapeutic diet should always be a gradual one; patience is the key here. Cats are very texture oriented when they eat and making a diet change over a 2 week period is a good guide-line to follow. Medications to help regulate blood pressure and protein loss through the kidneys are often advocated in the care of CRF patients. Oral medication to bind excess phosphate in the gut and oral antacids are also often used. Intravenous fluids are used during critical periods for rehydration. Later, sub-cutaneous fluids can be used to assist with fluid balance. Haemo-dialysis and kidney transplants are not yet available in South Africa. Transplants still remain ethically controversial worldwide and are prohibitively expensive. With the correct dietary and medical management and regular monitoring, many CRF patients can enjoy good quality of life. Early diagnosis and treatment seems to prolong survival. What is the best healthy diet for a cat? Is 80 g raw chicken breast every evening for a large cat good and then dry pellets available throughout the day? My beautiful baby ate nothing but Royal Canin and had to be euthanased last year because of CRF. I thought I was doing the best I could for her health and it broke my heart! SAVetshops is a group of Vetshops that have been at the forefront of the Veterinary Retail industry since 2002.